Good afternoon (or evening, or morning, depending on where you are!) people across the fruited plains! I hope you and your families are doing well and that you’ve been able to get outside and enjoy some of the nice spring weather. Here is Texas, we are in the midst of out first real summer heat, though we did get to take advantage of some great spring weather. Inspired by spring rain storms we’ve had here, I’ve written the seventh book in the Adventures of Mac The Fire Truck series. This seventh title is call Mac The Fire Truck and The Field Fire. In the illustrations, we even used actual storm cloud pictures for the sky…for a nice, realistic look. There are 10 illustrations in this book and all narrative text…so not rhyme this time! But as usual, the story follows Mac The Fire Truck and Pudgy as they fight a fire, all while unexpected things happen. This is the second Mac The Fire Truck book that involves a farmer…but this one I focused on wheat and how it is harvested, so hopefully children will learn how something from this book as well. As usually when I launch a book, I am currently running a free Kindle ebook giveaway of this title. 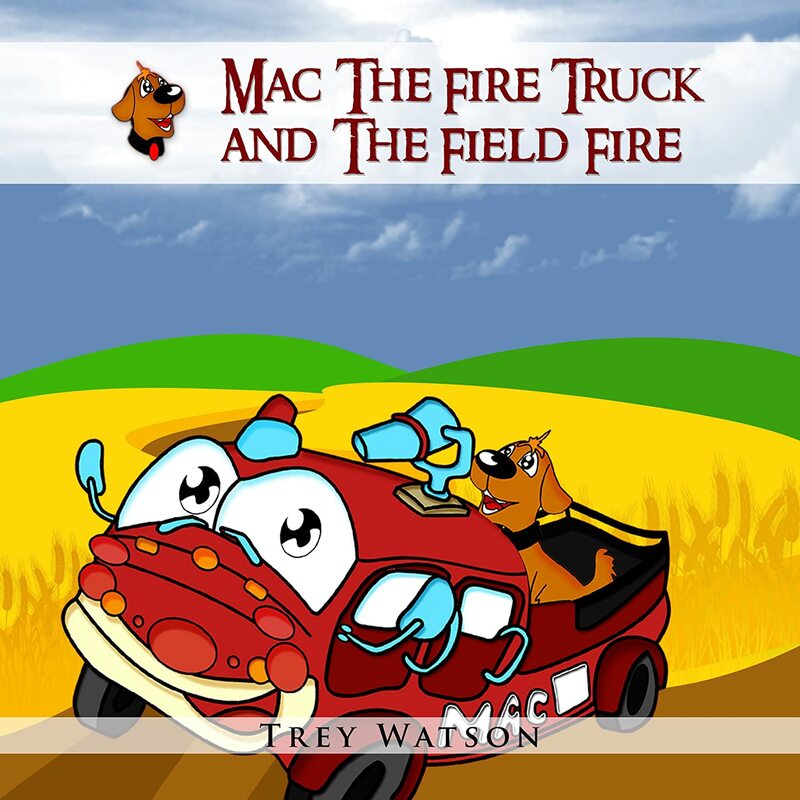 So if you have a Kindle and want a free book, you can get Mac The Fire Truck and The Field Fire for free-no strings attached-all day today through Saturday May 25th.